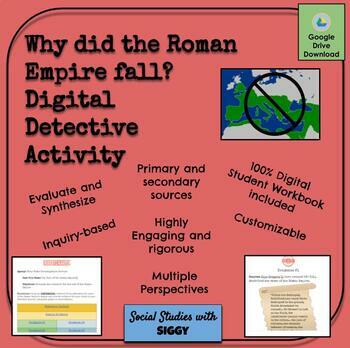 I use this DIGITAL inquiry based lesson to show how the great Roman Empire fell apart. This highly engaging lesson uses primary and secondary sources to show the complexity of this historical event and requires the “detectives” to evaluate the documents (or clues!) to determine which cause was most significant. *Must have Google Drive. All parts to the resource are editable.